Day two at Walgreen’s went great. Here’s what I got. Venus Embrace razors were on sale for $10.99, and I used a $2.00 off coupon, and at the register I received a $4.00 register reward. 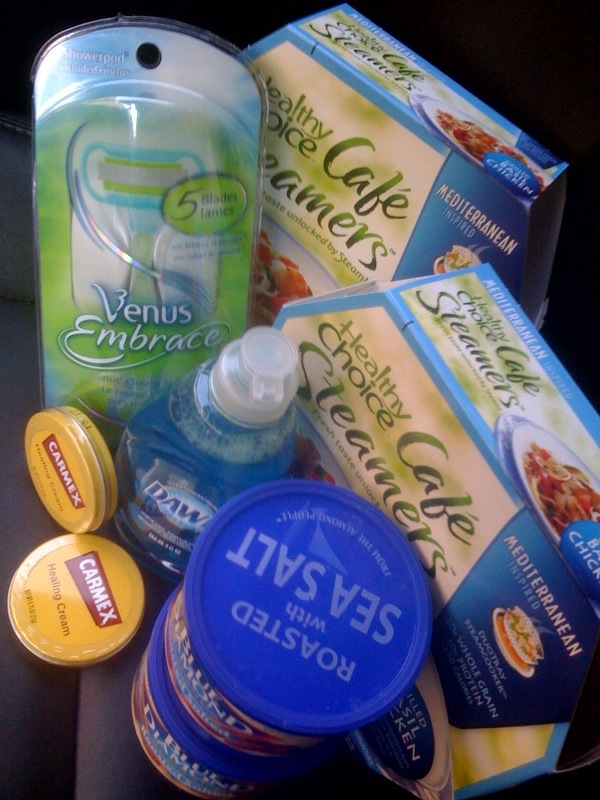 I also bought Dawn dish soap which was on sale for $0.99 and used a $0.50 off coupon; two Carmex Healing Cream tins, which were 2/$3.00 paired with two $1.00 off coupons; two Healthy Choice Cafe Steamers which were 2/$5.00 paired with two $1.00 off coupons; and finally Blue Diamond Almonds were buy one get one free. I paid for my items in two transactions in order to use the register reward from the razor. Walgreen’s requires that you have more items than coupons, so by spliting up my items, I didn’t have to buy something I didn’t have a coupon for. I actually use all of these items except the Carmex cream, but at $0.50 each, I’ll try it out because I know my hands are sandpaper in the winter. I think the hardest thing for me is to not buy things I don’t need just because I have a coupon. It’s definitely a learning process, but think of how much money we can all save! Oh and by the way, that CVS deal I got yesterday, I’m going back for more today with that other card we have. SCORE!